Above: my' take' on the old KK Shadow Shooting Star. Not much to look at (this is, I stress, a faithful copy of the original kit, though I did 'flesh out the fuselage a bit) but it's light and flies very well with a Rapier L-2 or a genuine Jetex 50. Above: the KK P.80 over Old Warden in 2016. It is also, of course, available as a Jetex.org part kit (see store). Above: progress so far with the new P.80 template. It's the fiddly bits that take the time, so this is 50-60% finished. 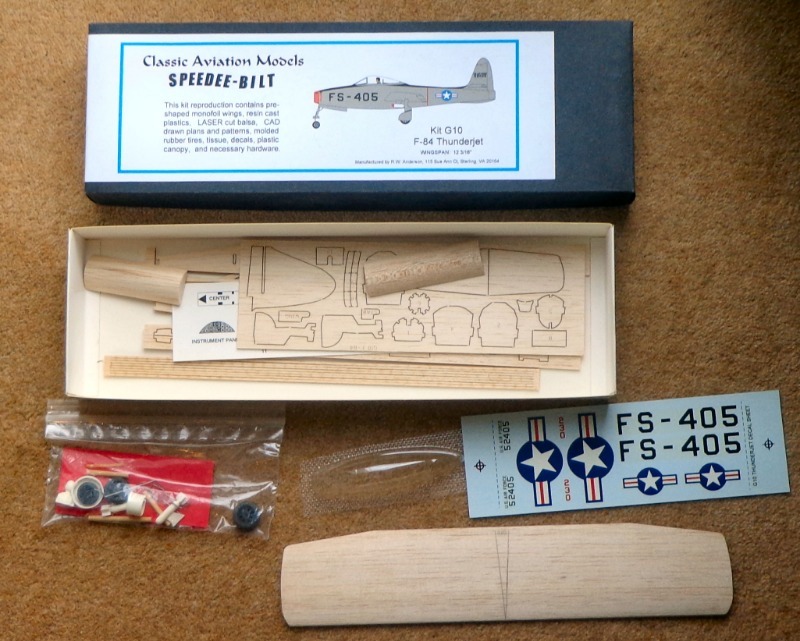 This was all well and good, but wouldn't a 'proper' stick and tissue' model be better for this most attractive of early jet fighters? I had a copy of the plan by John Bell, so what was keeping me? Above: John Bell's P.80 is a fine design, but looked a little beyond my building skills! Also, it would need some reduction in size, and a decision as to where to put the motor. It was at this juncture I was, serendipitously, contacted by David Stern, a model maker and author from the USA. 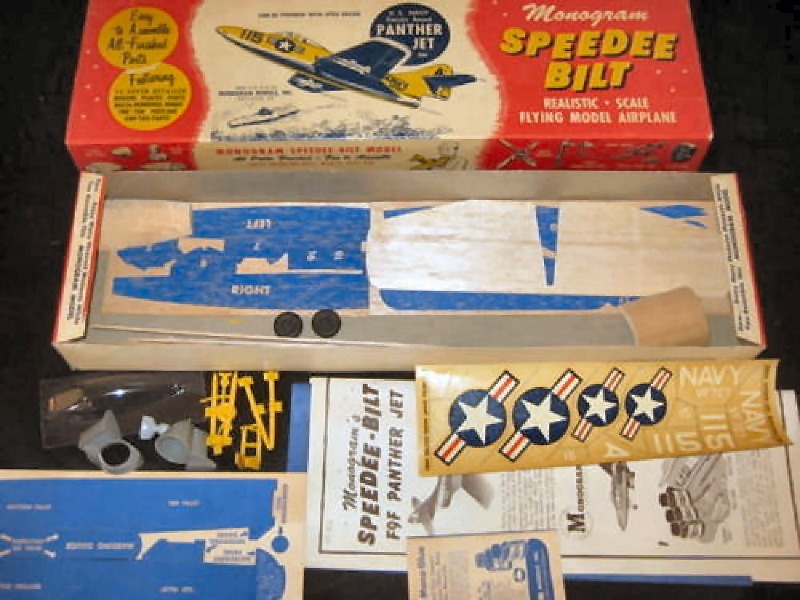 We got talking about Monogram 'Speedee-Bilt kits of the early 1950s, whose range included a number of jets. "You may or may not be familiar with the old Monogram build up kits. Ron Anderson, who lives on the East Coast took up the tools or something like that and makes replica kits. And very nicely reproduced they are too. A key feature of these kits were the 'monofoil' wing construction and the alluring plastic parts, which, as attractive as they are for adolescents of all ages, are quite heavy and did nothing for their flying characteristics". 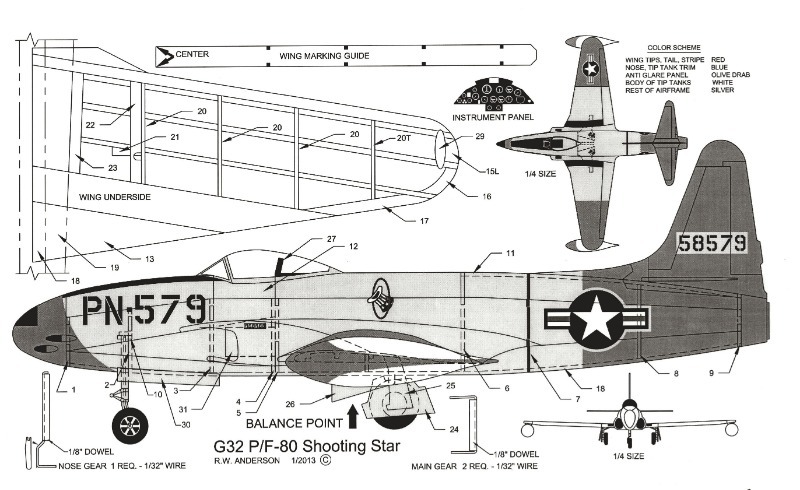 Above: not a jet, but the Mustang, showing the construction of these iconic kits. Built as the kit, with all the accessories, I can't think their flying characteristics were great. Nevertheless, these models look highly desirable. A couple of the Speedee-Bilt jets - a Panther and an F-86 Sabre have appeared on eBay, but were, alas, way beyond my budget. And there didn't appear to be a P.80 Shooting Star! Fortunately, help, from David, was at hand. Read on! 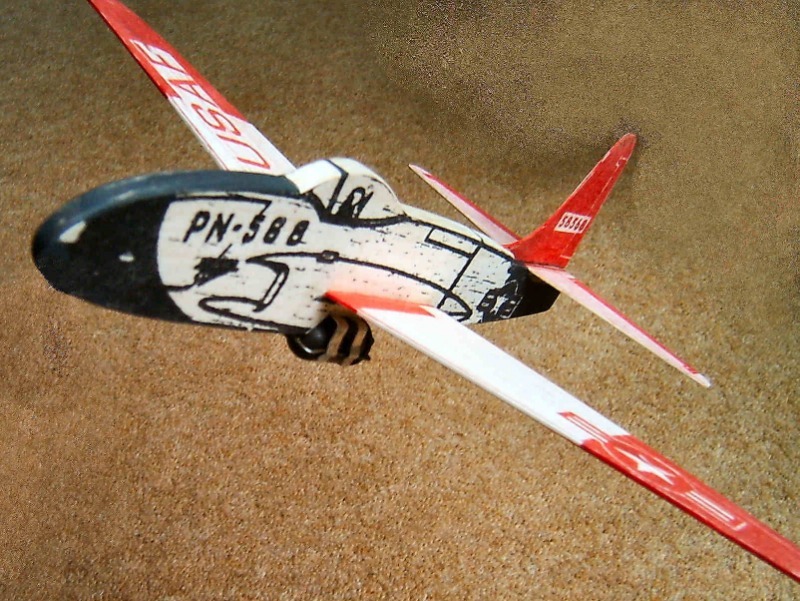 "If one lightens the balsa parts and uses a Jetex 50B, they will fly, but the wings are really short. 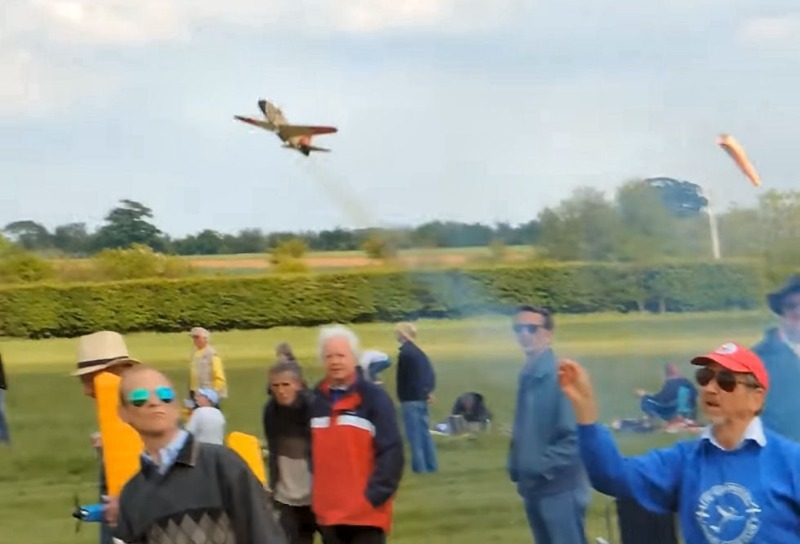 However, a Jetex 100 will make it fly like the real thing"
Above: A Ron Anderson Replica of the Monogram F-84. This one was originally from Howard Metcalfe's collection. As you can see, they are indeed very nicely engineered. 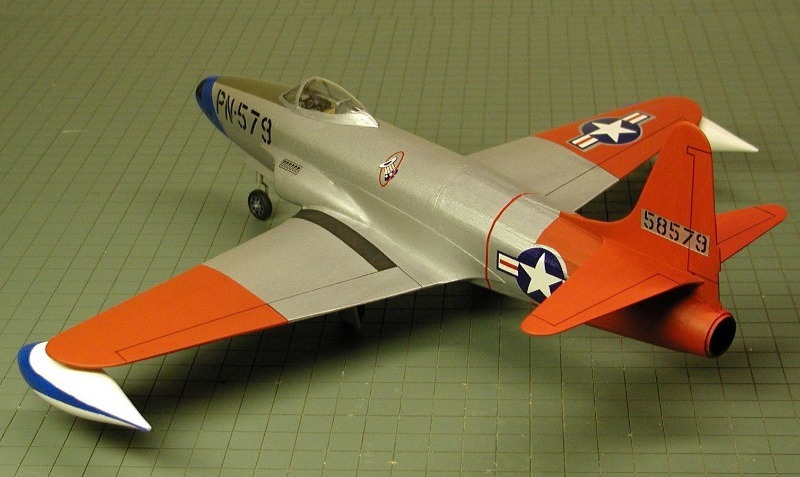 David comments: "The F-86 [in particular] had tail surfaces too small for stable flight, but when replaced with larger surface area, it would fly. 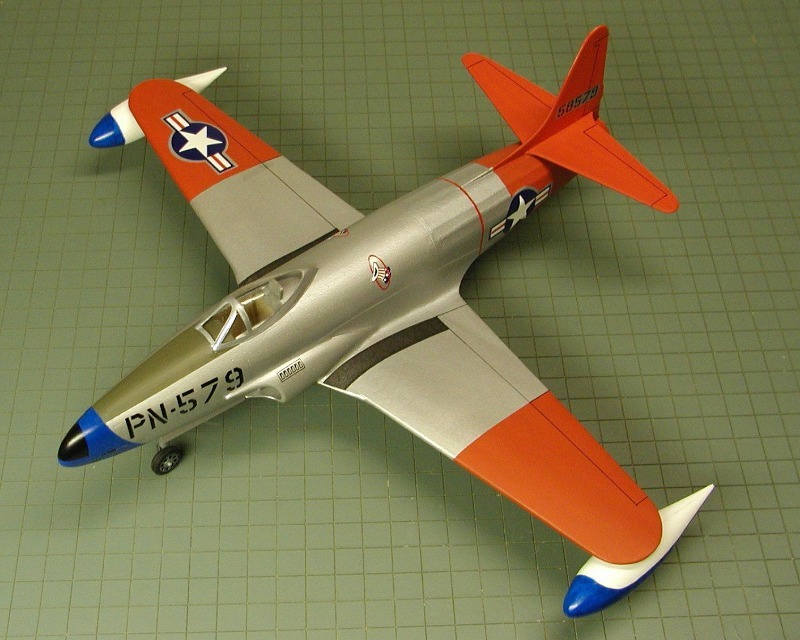 I built the F-84 the most and Ron made longer wing sets for me when I ordered two Kits". 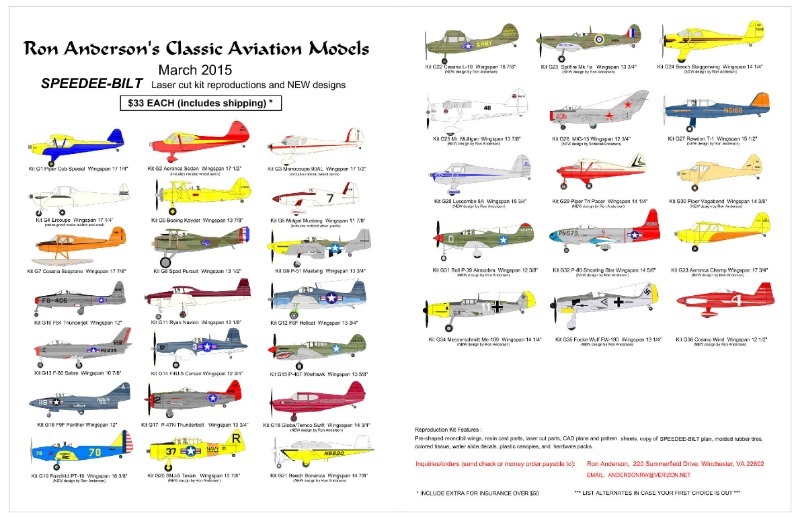 Ron is, I'm pleased to say, still in production, so if you fancy any of these models, I can pass you his email address. He did, though, tell me to warn potential purchasers that a single kit, posted from the US, will put you back 45 USD. Such are the postal rates from the US. 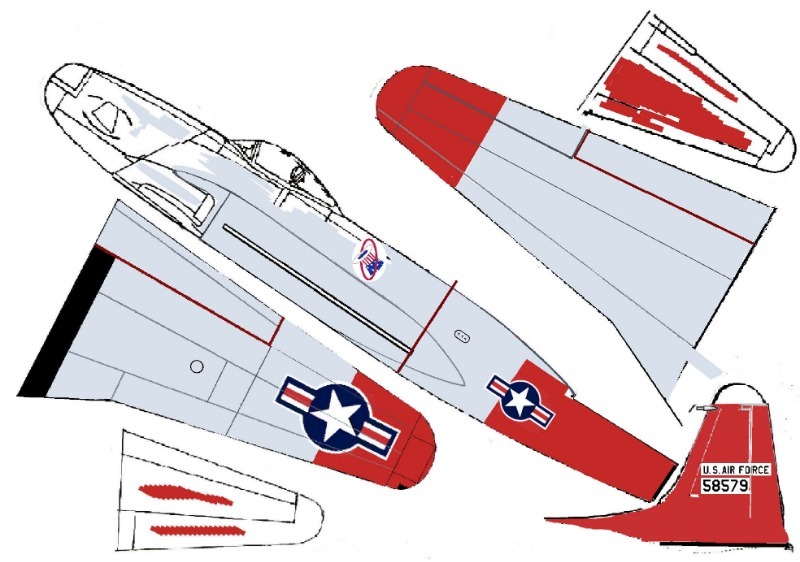 "I talked Ron into the Red trim and decals for the 94th 'Hat-in-the-Ring' 94th Squadron. The squadron was sent from California to Ladd Field in Alaska for "Cold Weather" tests. Several planes crashed due to accessory equipment not functioning well in the extreme cold. The "Chinese, or Fire-Engine red" stood out against the snow of the Tundra in winter very well!" Which is all fascinating stuff! 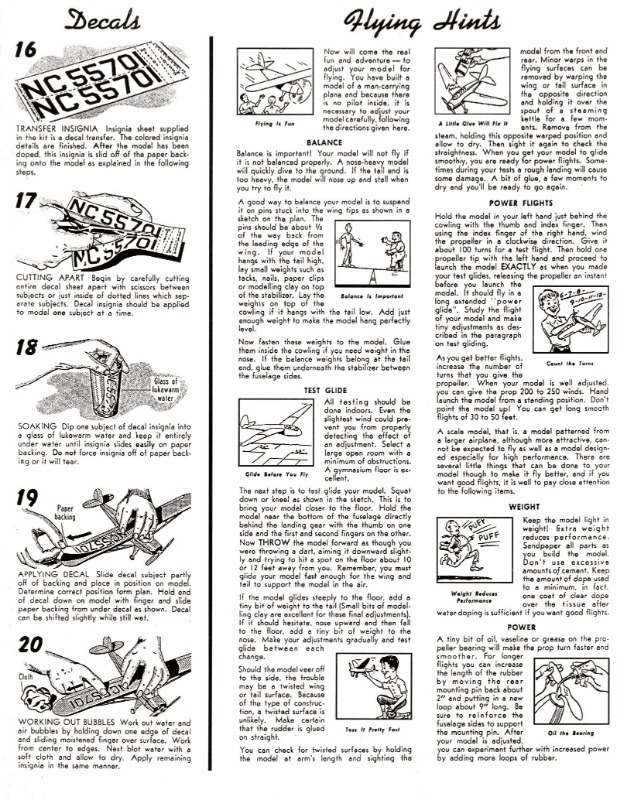 David has written about all this in 'The Aviation Historian', an article well worth tracking down and reading. "It would certainly be a challenge to get this one to fly with a Jetex. It's rather heavy in its stock form what with all the heavy plastic parts and shaped blocks. The prototype display model weighed in at a hair under 2 oz. (57 grams). 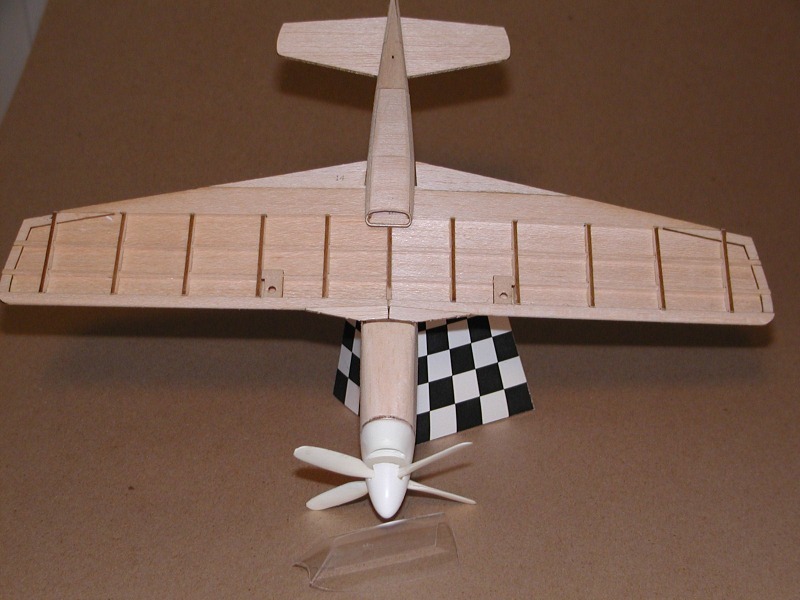 I believe that using balsa for the plastic nose, intakes, tip tanks, and exhaust, hollowing the blocks (or using sheeting), eliminating the landing gear, choosing light balsa, and minimizing the finish it would be easy to cut the weight in half. Perhaps using vac formed parts instead of cast resin parts would be a good compromise on weight without the trouble of carving new replacement parts. 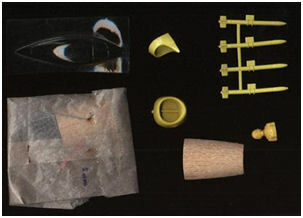 It would be easy to vac form the parts in question using the cast parts as patterns". But we Rapier/Jetex fliers love a challenge. My kit will, I hope, soon be on its way, and I shall report on building (and lightening) it in due course. And then (I also hope) about its flying characteristics. David says his F-84 flew like the real thing with a Jetex 100, so I wonder what my P.80 will do with an L-2 HP (or even an L-3) up its jet pipe! Meanwhile I will continue with my template for the profile KK Shooting Star. If any one else would like one (printed on tissue) when its finished, please let me know. 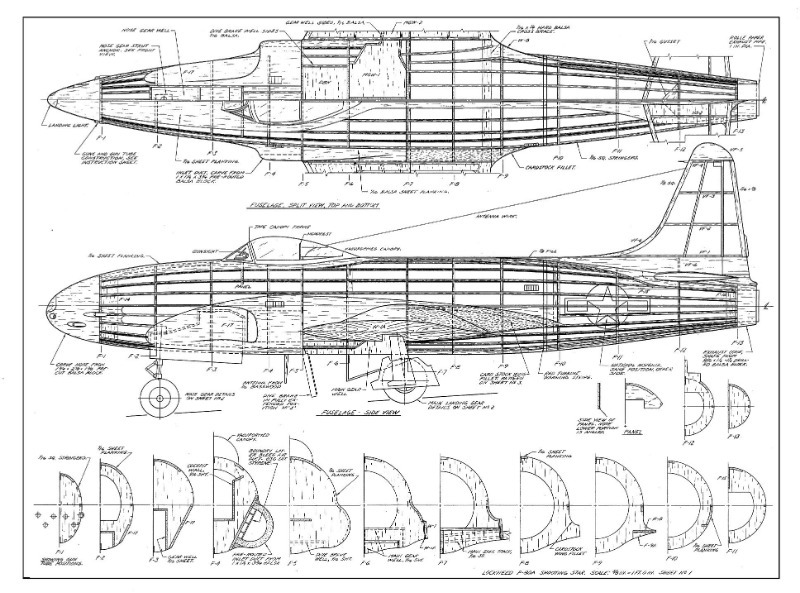 Some observations after a bit more cogitation: to turn Ron's beautiful P.80 prototype into a viable flying machine a lot of lightness will have to be added. 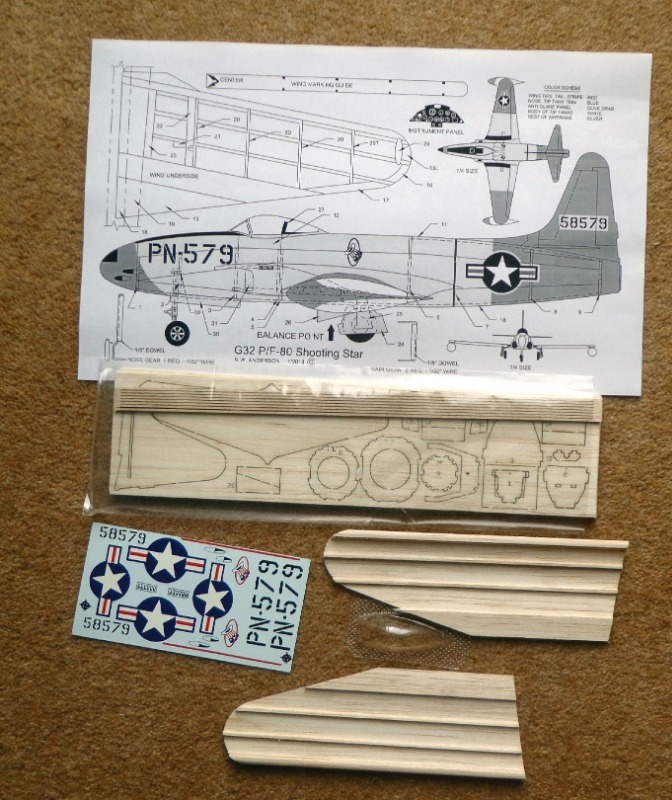 For starters, the undercarriage will have to be discarded and a built up wing substituted for the balsa sheet original. Also, did the P.80 always fly with tip tanks, or could they be jettisoned? I'm pretty sure the kit can form the basis of a splendid model for Jetex or Rapier propulsion. Above: launching the KK Shooting Star at Old warden. I would love to repeat this with a Seedee-Bilt model! Way to go Roger, I look forward to seeing what you come up with, I'm sure all us 1950's teenagers loved the P80. 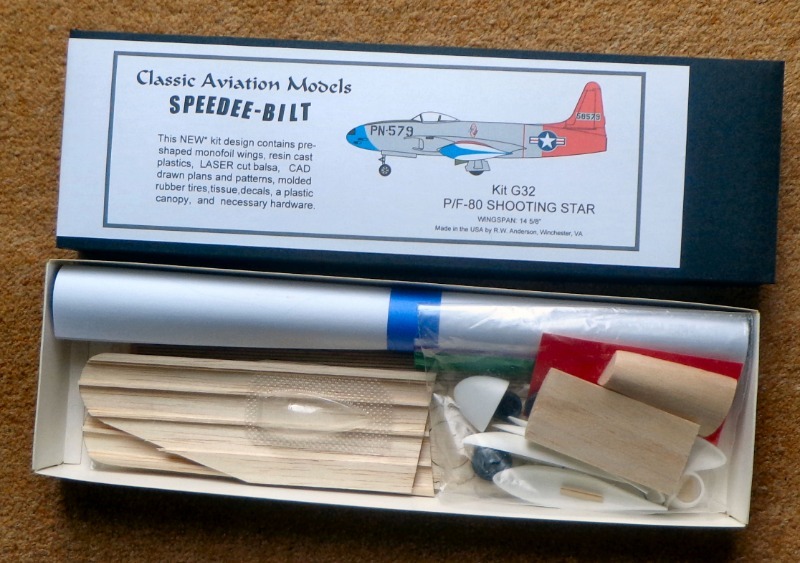 My replica 'Speedee-Bilt' P.80 kit arrived from the US much sooner than I expected. It was expertly made packed by the estimable Ron Anderson and (oh joy!) there was no import duty to pay. Which gives the kit a splendid 'period flavour'. 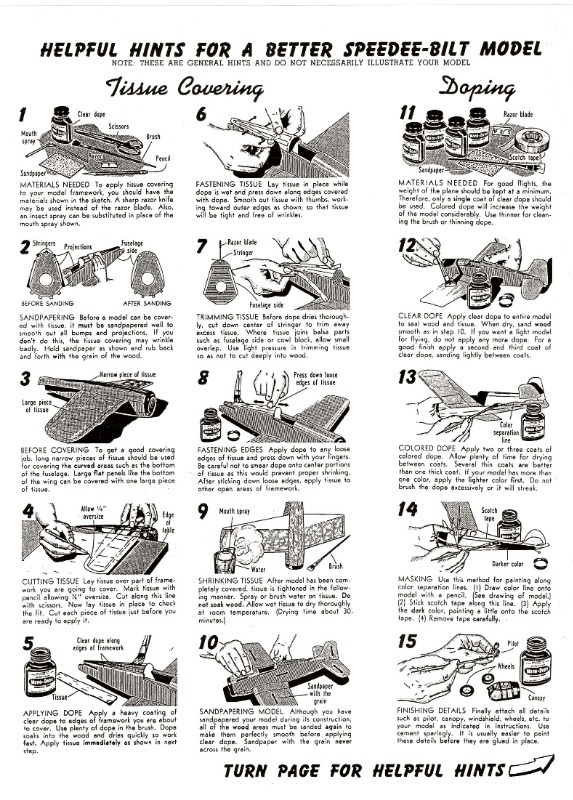 You will note these 'Hints and tips' are generic and not particular to this 'jet' kit. Indeed, there is no indication of notice power that I can see. 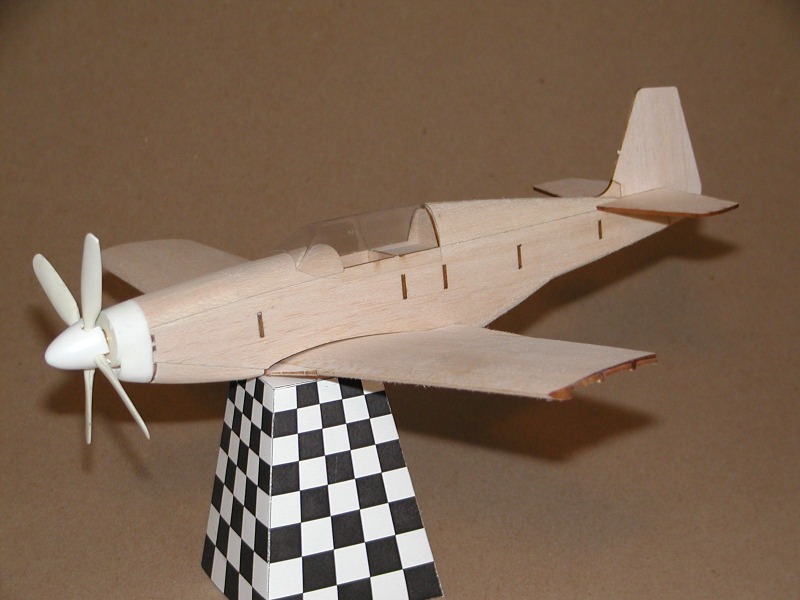 I shall enjoy the challenge of making this one and getting it to fly. 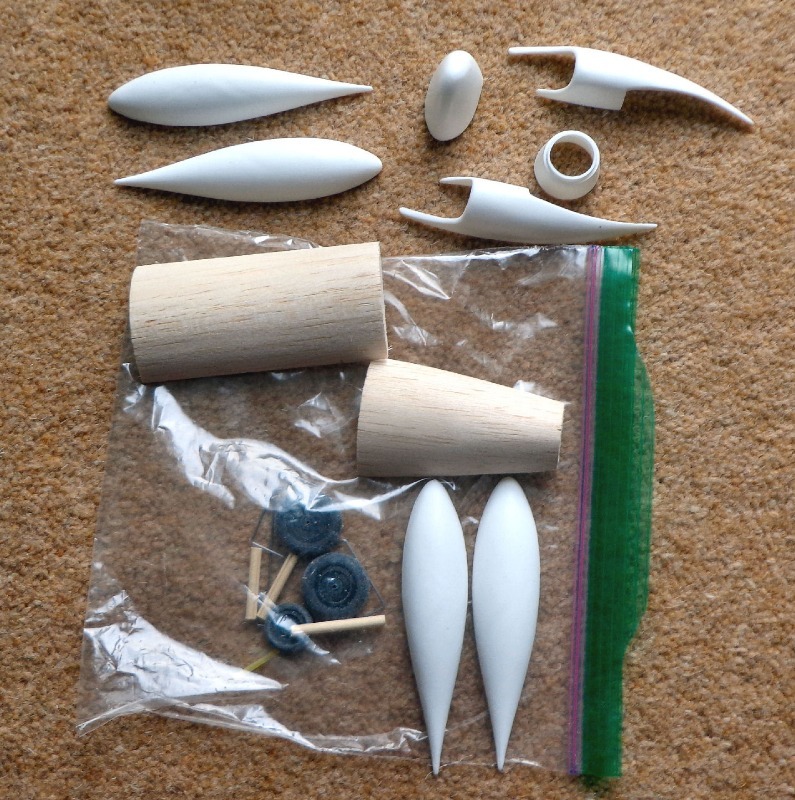 I will add lightness by using balsa mouldings instead of the (quite heavy) authentically plastic parts. A Rapier L-2 could either be hidden in a trough or mounted externally in a 'weapons pod' (did Shooting Stars have weapons pods? We will see. Be this as it may, I was very pleased with this kit - it is a quality item - and the Ron Anderson kits (and there is a grand selection of them) can be bought with confidence! It looks a great kit, I suppose it would be called a 'crossover' model these days, trying to cover too many bases perhaps, have fun with it.